PlayStation UK has posted a teaser on its Twitter page for an upcoming PlayStation VR experience of Stranger Things. Details are scarce with just a short video showing the Christmas lights used in the first season of Stranger Things lighting up the letters P, S, V, R in order. Other than that the tweet reads: "Feel the terror of The Upside Down in Netflix’s Stranger Things VR Experience, coming soon to PlayStation VR." 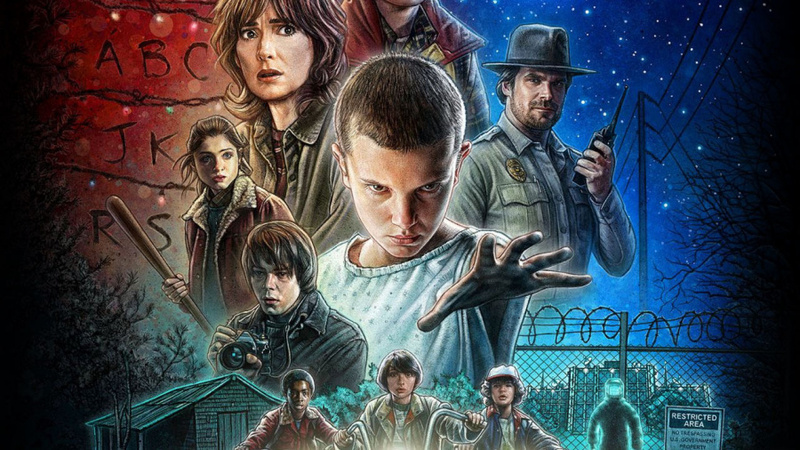 Are you excited to explore the upside down of Stranger Things? Or are you a little chicken like our chief Sammy Barker [I contest this notion - Ed]? Let us know in the dark below. Very excited to check it out. Although having had to chicken out of Resi 7 in Vr (although that was largely due to motion sickness I fear - the door opening sequences got me the most ; I felt like I was effectively head butting them to walk through) I am not sure how I will get on! I'm a huge fan of this show and even though the experience is bound to be something like ten minutes I'm still excited for this! @lacerz Most likely will be, but we don't know yet. There's a mobile title that's quite fun as well. Stranger Things is a cut above most tv nowadays. I just got into the series. I watched all 8 episodes of season 1 this past weekend. I got hooked. I binged season 1 over two days ended up with panda eyes! One of the freshesh (can't spell this word!) TV shows ever. Kids in it are funny and super geeky in a good way!